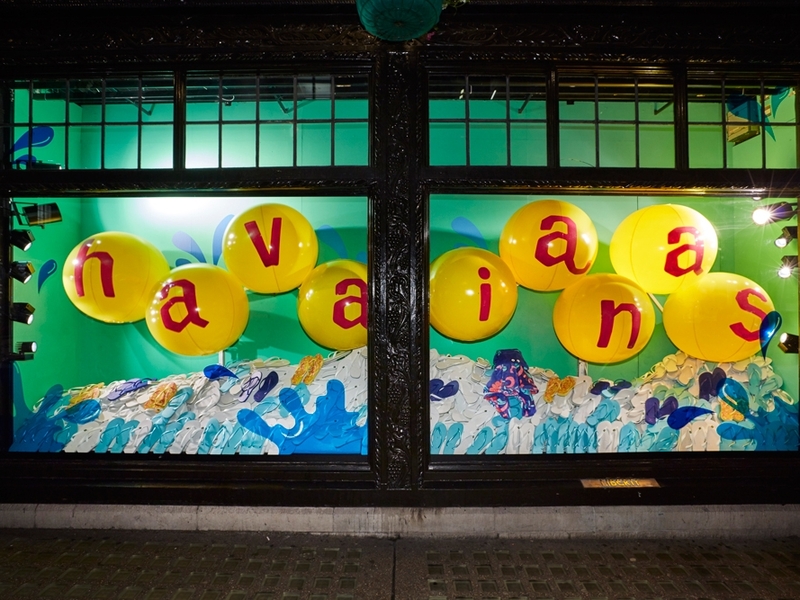 Propability were asked to bring this fantastically fun and colorful window display to life by injecting some movement into the display. Nine mechanisms with continuous running motors were delivered to allow inflated beach balls and a giant inflated Havaiana flip flop to rock up and down. With a wave of Havaiana Liberty print flip flops beneath them, a beach scene like no other was created. We love it and were delighted to finally get a chance to work with one of our all-time favorite stores.